Tsunamis will become more common and more ferocious with global warming, scientists warned after a study found that worldwide sea-level rises will increase the risk of coastal cities being wiped out. Smaller earthquakes that currently pose no serious tsunami threat could unleash waves capable of decimating coastal cities. The alarming conclusions were reached by researchers focusing on the city of Macau in China, which lies within a major earthquake zone. At today’s sea level, it would take a very powerful earthquake tipping past magnitude 8.8 to cause widespread tsunami flooding in Macau. 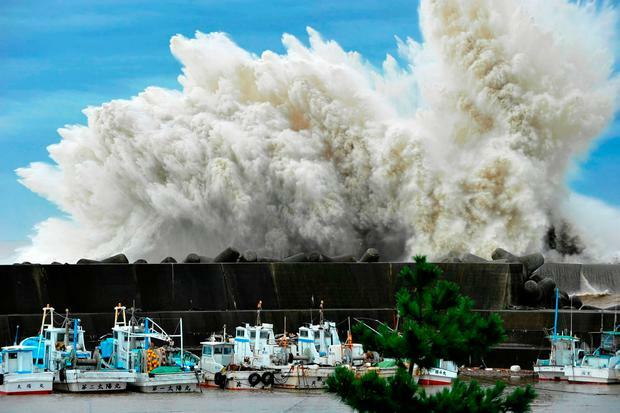 But a half-metre rise in sea level – predicted to occur in the region by 2060 – could more than double the chances of a huge tsunami swamping the territory, according to the research. A three-foot sea level rise by 2100 would increase the risk up to 4.7 times. The source of the earthquake danger is the Manila Trench, a massive crack in the floor of the South China Sea formed by the collision of two tectonic plates. It has generated numerous earthquakes, though none larger than magnitude 7.8 since the 1560s. A modest rise in sea levels would greatly amplify the tsunami threat from smaller earthquakes, the computer simulation study showed. Lead researcher Dr Robert Weiss, from Virginia Polytechnic Institute and State University in the US, said: “Our research shows that sea-level rise can significantly increase the tsunami hazard, which means that smaller tsunamis in the future can have the same adverse impacts as big tsunamis would today. “What we assumed to be the absolute worst case a few years ago now appears to be modest for what is predicted in some locations. “We need to study local sea-level change more comprehensively to create better predictive models that help to make investments in infrastructure that are or near sustainable. The findings are reported in the journal ‘Science Advances’.